Super Story Time With Elmo and Friends! The Sesame Street family is taking a day to visit the New York Public Library on 42nd Street. On Tuesday, December 8, you can catch Elmo, Abby and other friends at Stephen A. Schwarzman Building, Celeste Bartos Forum. Elmo and Abby will honor a NYPL librarian and patron as two of this city’s “everyday heroes.” There will also be interactive activities and crafts, which focus on encouraging kids to be everyday heroes as well. This hour-long event begins at 1PM. It is designed for children between 18 months and 5 years old. This is a free event. So remember to RSVP in advance. Dance is a great activity for self expression and community building. On Saturday, December 12, Symphony Space will host the “Rennie Harris Awe-inspiring Works” (RHAW) youth organization as part of its Just Kidding series. The dance ensemble explores a myriad of hip-hop styles, while incorporating salsa, tap and other contemporary moves dating back nearly a century. It’s a fun and energetic show that is perfect for younger audiences as well as teens. So if you’ve got an elementary school student and high school student in your family, you can take them both here for a good time. The show begins at 11AM and runs for 60 minutes. Tickets are $18. This weekend, the Queens theatre will host Ronald K. Brown dance company. The show is entitled “Evidence.” The show interweaves spoken word with traditional African dance and contemporary choreography. This program is ideal for middle and high school students. Evidence uses movement to tell a story of human struggles, tragedies and triumphs while emphasizing the importance of community in African and African American culture. There are two shows on Saturday at 2PM and 8PM and one show on Sunday at 3PM. Tickets range from $25 to $42. Tis the season for more Nutcracker shows. This weekend, you can check out the New York Theater Ballet’s Nutcracker, choreographed by Keith Michael. The show is set in the 1907 Art Nouveau style. Sylvia Taalsohn Nola, a resident costume designer at the Metropolitan Opera, designed the costumes. This is a one-hour ballet that includes younger dancers in the cast. It is great for kids ages 3 and up. The show will be at Florence Gould Hall. There is one show on Friday, Dec 11 at 12PM. There are three shows on Saturday and Sunday (Dec 12 and 13) at 11AM, 1PM and 3:30PM. On Dec 9, Elf the Musical returns to NYC. In this comedic story, a young orphan child crawls into Santa’s bag of gifts and is transported back to the North Pole. Unaware that he is actually human, Buddy’s enormous size and poor toy-making abilities cause him to face the truth. With Santa’s permission, Buddy embarks on a journey to New York City to find his birth father, discover his true identity, and help New York remember the true meaning of Christmas. The show runs through December 27 at Madison Square Garden. Tickets range from $39 to $160. On Dec 10, Charles Dickens’ classic holiday story will open at the Player’s Theatre. This will be a musical interpretation of famed-Scrooge story. 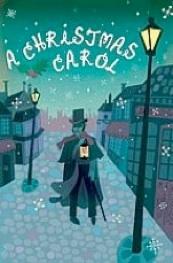 In it, Scrooge must learn the value of kindness and change his destiny before Christmas Day. This is a tale of family and friendship. Tickets cost between $32 and $52. The show runs through Dec 30. If you were looking for a weekend to stop by the Jewish Children’s Museum, then this is it. Right now, the Chanukah Art Festival is taking place. Kids can learn about the ancient art of oil-pressing in an interactive Olive Pressing workshop. They can also customize a Donut, create their own bead design to add to the museum’s giant Dazzling Menorah, and experiment with vibrant ink and customizable stencils at the silk-screening workshop. The festival officially closes on Monday, Dec 14. So this is your last weekend to enjoy it. On December 10, 13, and 14 kids can also take part in live game shows and in the museum’s Grand Menorah Lighting, where children can meet the ancient hero, Judah Maccabee. December 13 is your last chance to enjoy the lighting of the world's largest Hanukkah menorahs at Grand Army Plaza in Central Park or Grand Army Plaza in Brooklyn . Both locations are competing for the world’s largest menorah. Families can gather around the 32-foot-high, gold-colored, 4,000-pound steel holiday icon across the street from The Plaza hotel (in Manhattan) each night, through the end of Hanukka. Lightings generally take place at 5:30pm, though Friday's is around 3:30pm and Saturday's at 8pm, bookending the Sabbath. In Brooklyn, you can see a similarly sized menorah illuminated. Lightings are at 6pm most evenings, with Friday's at 3pm and Saturday's at 7pm.